This outfit was worn to my beautiful friend's Breakfast at Tiffany's themed bridal brunch. I had been saving this dress up for this lady-like occasion and it fit the bill perfectly. I bought it back in the summer at the Macy's in Fashion Show Mall in Las Vegas on sale for 50% off! How do you turn down 50% off on a BCBG dress this amazing? You don't! 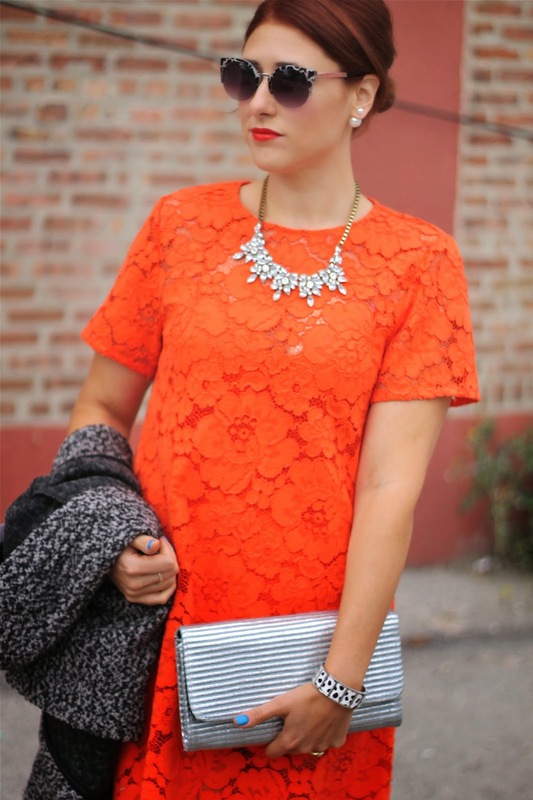 I had seen it on other bloggers in blush pink but this bright orange was way more my speed. And with a short sleeve giving it the illusion of being covered up for warmth, this dress is the perfect fall find. Here are a few equally lady-like finds for you to shop!